ChindAsia Club offers different types of packages for Individuals and Corporate Members living and working within Thailand and for Non-Resident Members who occasionally travel to Thailand. Individual Memberships in good standing can be transferred with approval of Club Management. 1. All prices subject to government VAT. 2. 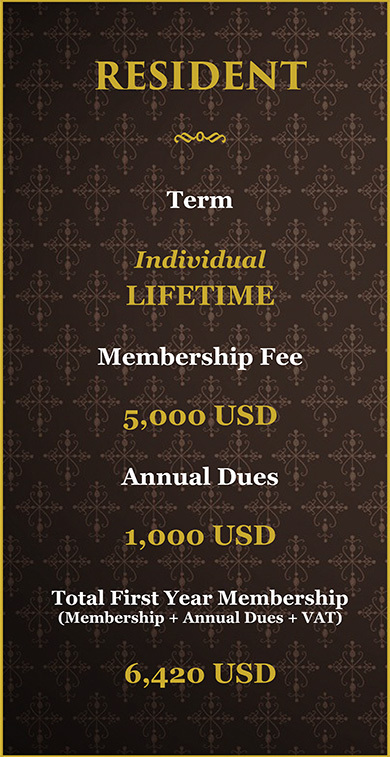 Membership fee and first year dues are payable at the time of membership, subsequent years are due on membership anniversary. 3. Resident and Non-Resident Memberships in good standing may be transferred, with the approval of Club Management, upon payment of transfer fee equivalent to 10% of the membership fee. New Member annual dues will also be assessed at the time of transfer. 4. Corporate memberships available only to registered corporations. 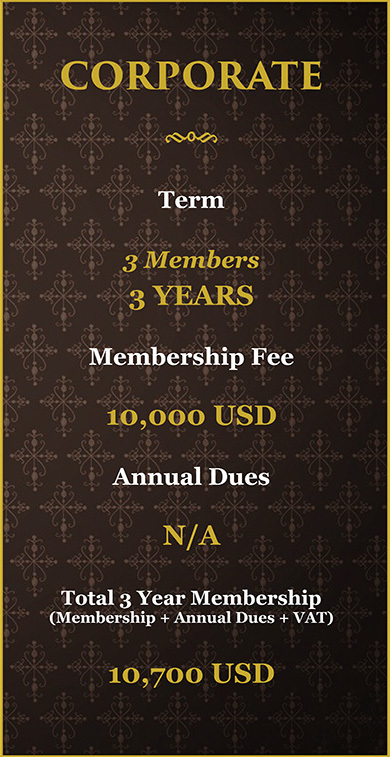 Corporate memberships provide club access to 3 nominees from the company. A change fee of 150 USD will be assessed to change any designees of the corporate membership. 5. 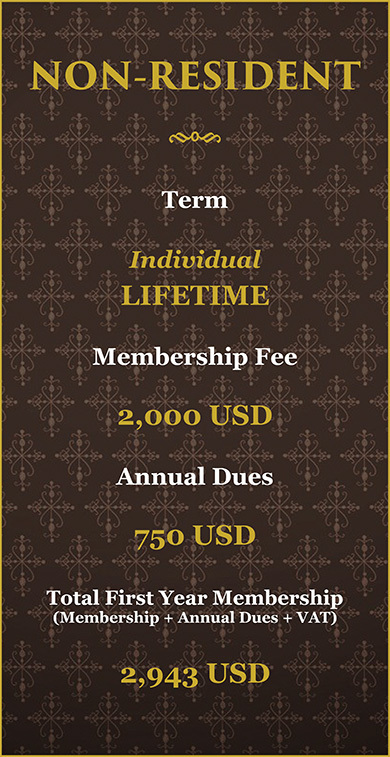 Members who reside outside of Thailand for more than half of the calendar year are eligible for Non-Resident Membership.